Most people believe that turkey is the star of the British Christmas dinner, but this new-fangled bird has only been gracing the British table since the 16th century when it arrived here from America. Before that,​ a traditional Christmas roast would be the Christmas Goose. 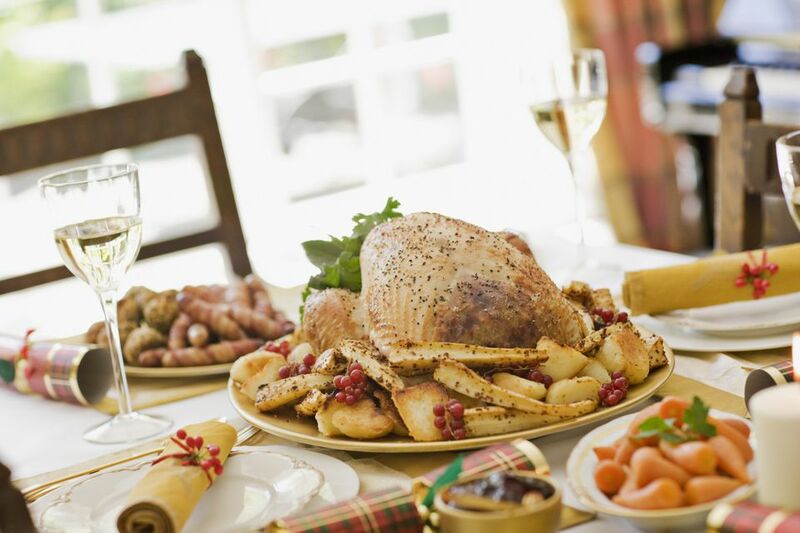 Whatever Christmas roast you choose there are a wealth of accompaniments that go alongside, most are interchangeable, and all are part of the traditional menu for a British Christmas. Roast beef is one of Britain's national dishes and the major part of a ​traditional Sunday roast. 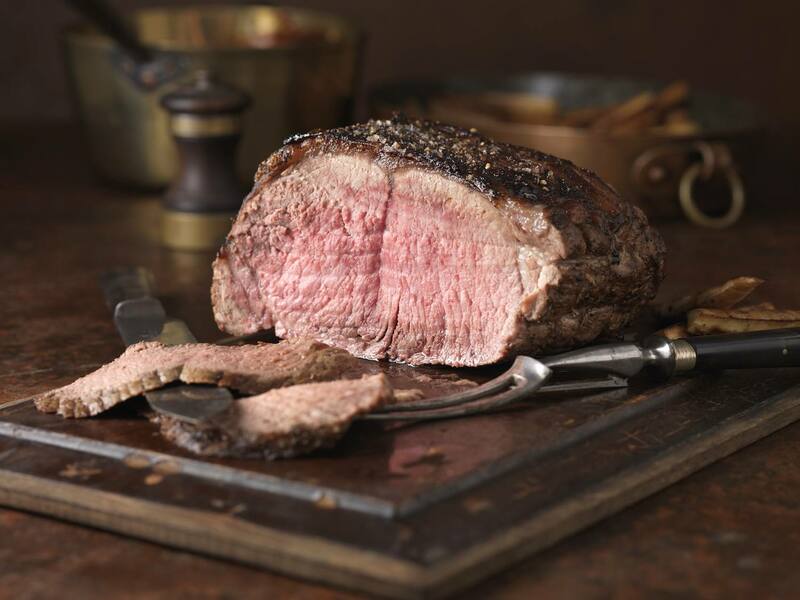 Despite its role in the weekly event, a roast beef is also very popular for a Christmas roast as well and why not, it's not all about the turkey after all. Beef Wellington was named after the Duke of Wellington in 1851 and has graced British tables ever since. It is based on a classic French boeuf en croute, beef wrapped in pastry. A British Christmas is not Christmas without a baked ham. Apart from on the day, it is the intrinsic part of a Boxing Day buffet as well. Long before the turkey became the bird of choice for the Christmas table, it was the Goose which had the starring role. The goose as the bird of choice took a severe decline in the 1960s when it was considered a little common and turkey more exotic. This roast goose recipe is unusual as it makes the most of the flavor & texture of goose by using a boned goose which is then cooked in a water bath and then roasted. With this method, the meat remains juicy and moist. Boning a goose is easy when you know how but is time-consuming-make it easy on yourself and ask your butcher to bone it. In times gone by most rural or farming households in Britain would keep at least one or more pigs. The fattening of the pig with kitchen scraps and kitchen garden waste was a studious undertaking with the result being a plentiful supply of pork for the family. The leg was often considered the best joint on the pig and as such would often be served for Christmas either alone or with perhaps a chicken or other poultry. The keeping of pigs is now something of a rarity but roast pork does remain a popular choice. As a child roast pork was always part of our Christmas table. For its simplicity of both cooking and flavor, a buttery roast chicken is perfect for a Christmas dinner especially when served with a sage and onion stuffing. This simple—but don't be fooled as it is tasty—chicken recipe works wonderfully with all the traditional accompaniments of a traditional British Christmas dinner. It may be less rich than other birds for the Christmas table, which suits many (it also a lot cheaper).